Welcome to A-Plan, Sevenoaks, your nearest branch. 143c High Street, Sevenoaks, TN13 1UX mile away. 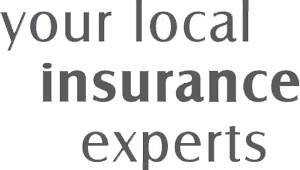 As your local insurance broker, A-Plan Sevenoaks has been serving clients in your area since 2015. We have specialist facilities for private car, home & contents and commercial vehicle insurance. A-Plan Sevenoaks opened in October 2015 originally providing Personal Lines insurances for private car, building and contents, commercial vehicle, tools and travel. We quickly recognised, however, that in order to cater for many of our local residents it was essential that we had the facility to write business for Mid and High Net Worth household insurances and are now one of only 5 specialist ‘A-Plan Private Clients’ branches, whilst still continuing to offer Personal Lines products. Owing to us providing exceptional customer service and a personal experience, countless customers come to us to take care of all their insurance needs and are happy to recommend us to both friends and family alike. My team and I would be delighted to discuss any of your insurance requirements so please do feel free to pop in or contact us at your convenience. Partners of Love Local/Sevenoaks Mums (who receive discounted premiums if they own a Love Local card). Your Sevenoaks Branch Manager. Get the right cover at a great price! Put our local team to the test to see how we can help you.